Confession. I have a thing for succulents. They're just so cute and happy looking. I can't help myself! Any time I find myself walking the aisles of our local home and garden center, I always end up stopping to stare at the succulent section, if only for a second. 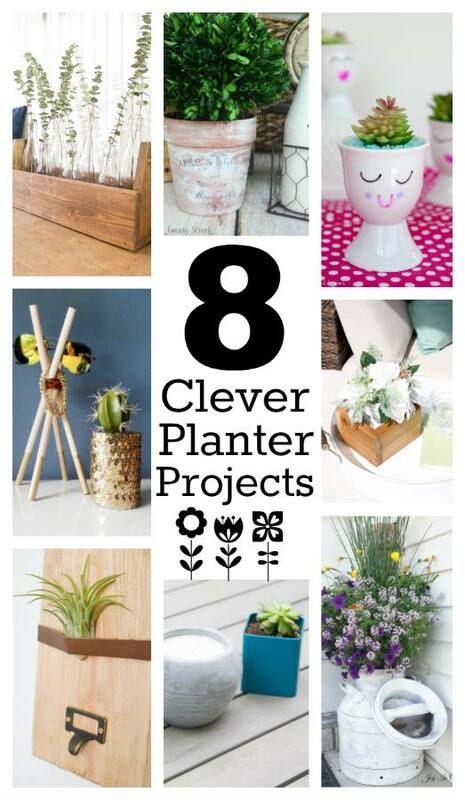 So naturally, when this month's Monthly DIY Challenge theme was planters, I knew exactly what to do. 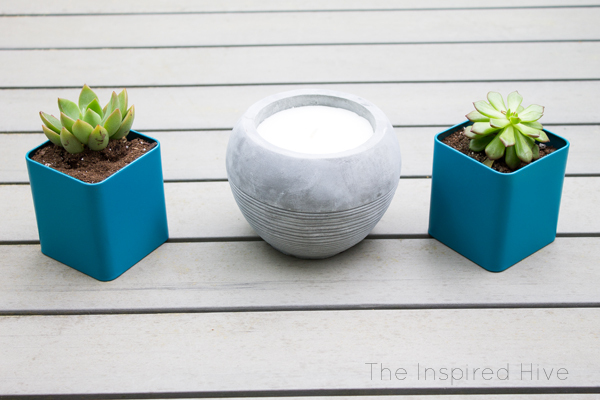 It was a perfect excuse to create some simple succulent planters! 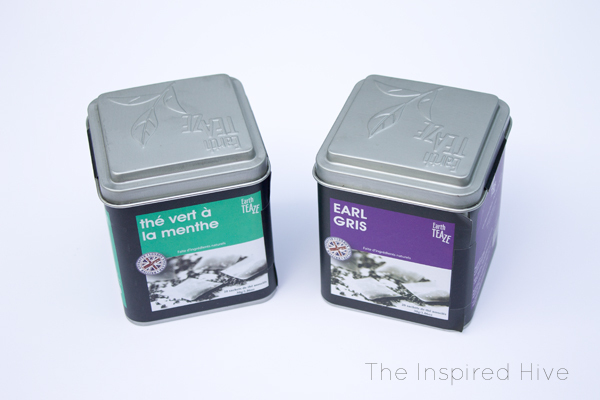 The most time consuming part of this project was removing the labels from the tea tins. I soaked them in warm soapy water for about a half hour. This allowed me to pull the majority of the label off. Then I used GooGone spray gel and paper towels to remove any leftover sticky residue. I washed them with soap and water afterwards. If you are planting succulents, it's important to have drainage holes. Succulents do not like to sit in too much moisture. 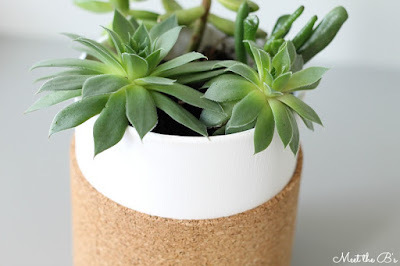 It's a surefire way to kill your succulents. 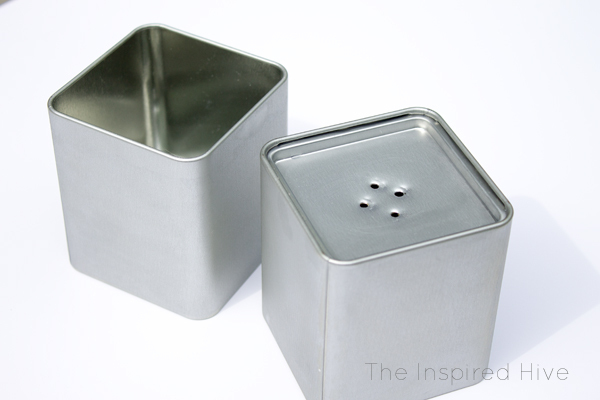 So, I created some drainage holes by drilling through the bottom of the tin. NOTE- please be careful of sharp metal edges inside of the planter after drilling! I cut my finger reaching into one of them. Ouch! 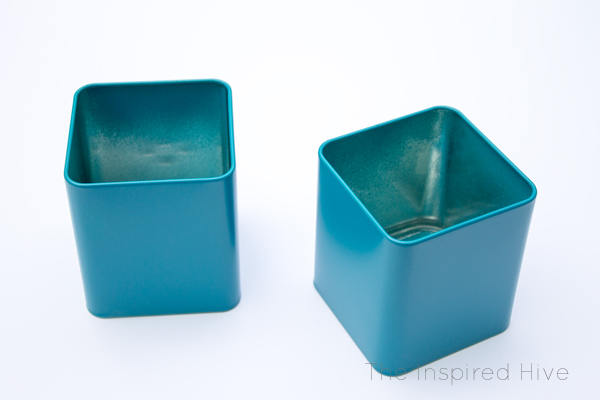 Now, spray paint the tins in the color of your choice. I used a teal spray paint to match the rest of our outdoor decor. Choose a paint with primer and that will adhere to metal. 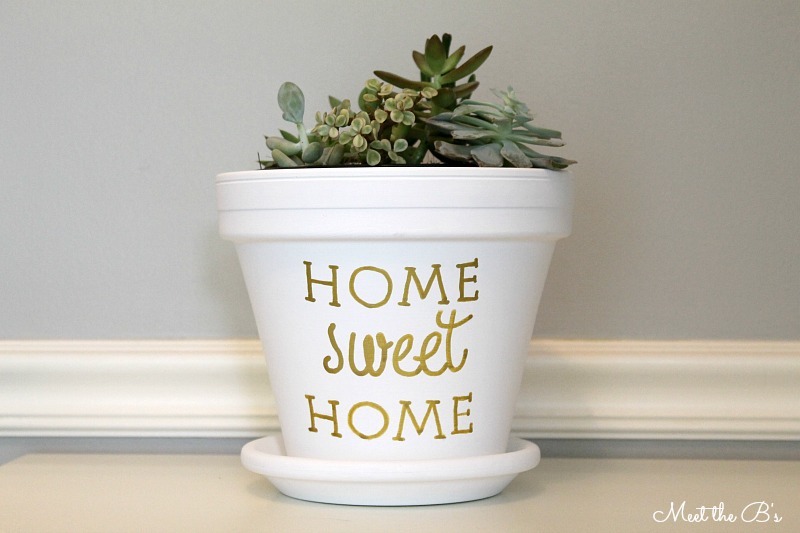 Rustoleum's 2X paint is perfect for this! I did three coats. Follow your paint's instructions for drying between coats. Don't worry about painting the inside (although a little paint is bound to get in there!). Again, succulents love well drained soil. I typically fill the bottom of my succulent planters with gravel. This allows excess moisture in the soil to drain through without sitting on the plant roots. 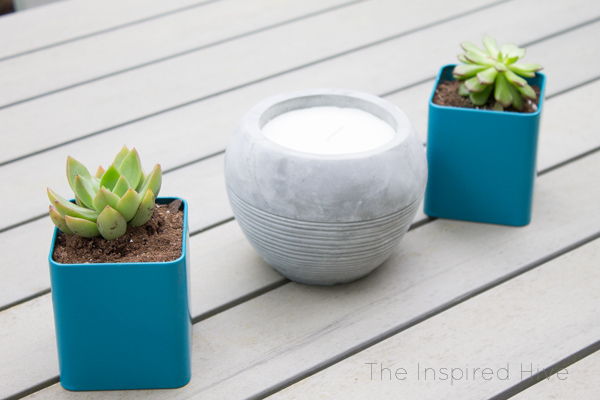 Then, position your succulent and fill in with potting soil. Choose a potting soil made for cacti to ensure that too moisture isn't retained. 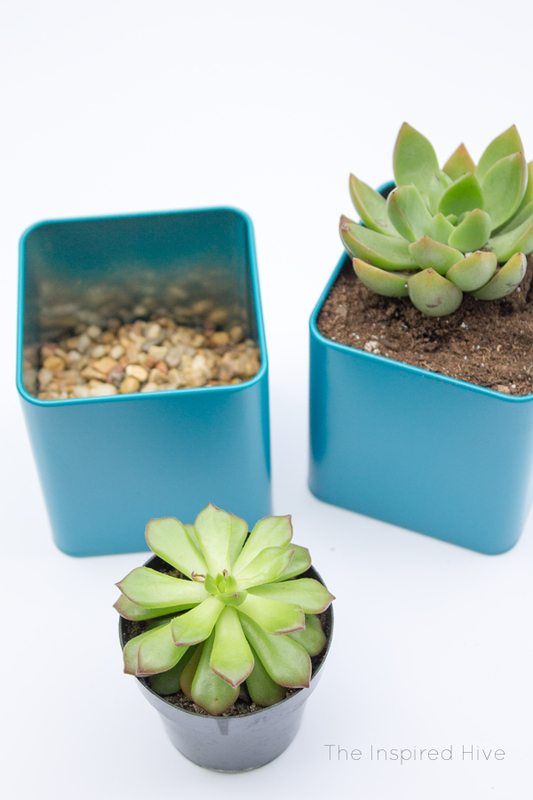 Keep in mind that if succulents are growing in the right conditions, they will reproduce and outgrow your little tea tins. The new succulent "chicks" can easily be transplanted into new planters. 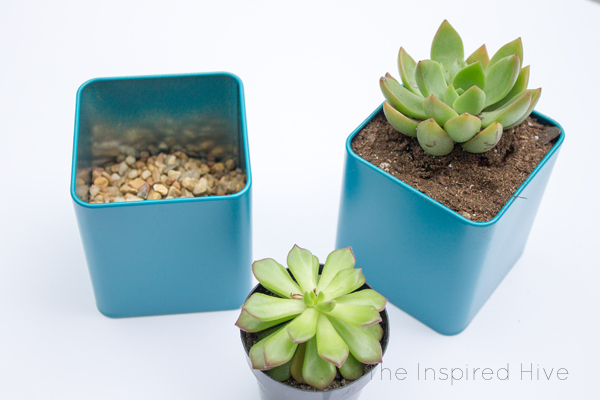 Before you know it, you'll have a whole succulent collection!